In 2013 nine homes have sold in Sabino Mountain. It should be noted that only one sold in January that dipped below 300K, so prices are on the way up; last year there were more than a few sales in the $200,000s. Also we have had three notable sales; one on Boulder Canyon for 797K and two on Sabino Mountain Drive for $810,000 and $1,374,000. It has been three years since a house has sold for as much as 797K and it has been 4 and a half years before a home has sold as high as $1,374,000. Sabino Mountain is finally appreciating. If you are thinking of selling your home in Sabino Mountain, please give me a call at 520-615-2598. I have sold a dozen homes in our community and have 30 years experience selling residential real estate. It makes a difference when you market your home with an agent who lives and loves our neighborhood. Strong negotiating experience means you are likely to net a higher sales price. 4341 N Sunset Cliff Drive, listed by Coldwell Banker, sold for 305K yesterday. This 13 year old, one-story home, built by Monterey, has 2,100 square feet and has 3 bedrooms and a den and 2 1/2 baths. As always, if you want to explore houses for sale at Sabino Mt., give me a call at 520-615-2598. 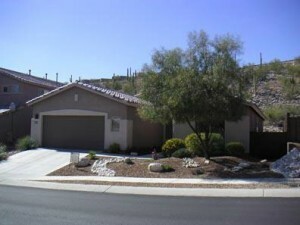 Sabino Mt Homes for Sale. If you want to view any of these homes for sale, or would like to check out homes for sale in the Tucson area, give me a call at 520-615-2598 or email me at Donna@DonnaAnderson.com . 4222 N Quail Canyon, listed by Long Realty, reduced its price down to 899K; it was originally listed at $1,185,000 eight months ago and sold for $1,125,000 in 2006. After paying over 1.1 million for it seven years ago, these Sellers made major renovations to include adding a casita. At this price it is likely to sell. Let me know if you would like to see this home or any other homes for sale in Sabino Mountain or Tucson area homes for sale. My email is Donna@DonnaAnderson.com and my phone is 520-615-2598. Interest rates are still very low and prices have likely bottomed; it is a great time to buy! Russ Lyon – Sotheby’s International Realty listed 4147 N Sabino Mountain Drive today for 979K. 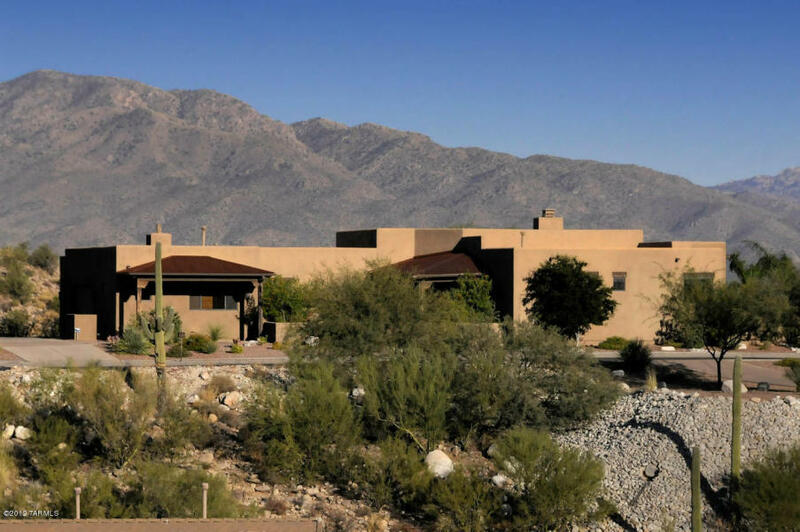 This 3,642 square foot ridge-top home is sited on .82 of an acre and has amazingly beautiful views of the high Santa Catalinas and city lights. 4339 N Octotillo Canyon , has gone under contract again with a List Price of $339,900. We will not know the Final Sales Price until Closing and I will let you know. This one is a two-story, Pepper-Viner- built, 2,700 square foot home listed by Gail Buck Realty. Hopefully this sale sticks this time. Home Smart Advantage Group sold Lot 126 at Sabino Mountain Drive as it takes the corner on Tumbling Roack for 263K. It is apparent that lot prices in Sabino Mountain are moving up since I sold 2 lots on Black Rock Drive that had great Catalina Mt views for less in 2012. Once the price is right, the house sells! 4341 N Sunset Cliff Drive reduced its List Price to 319K, and this 2,100 square foot, one-story home went under contract. Listed by Coldwell Banker Residential Brokerage. 4081 N Quail Canyon is priced at $994,900. This 3,700 square foot home is sited on almost 3/4 of an acre and has fantastic city views. It has been on and off the market since 2008 with a starting price of $1,349,000. It was originally purchased as new for 875K in 2005. Remember if you want to put your home up for sale, I can give you lots of expert advice, or if your a buyer looking in Sabino Mountain I can show any homes for sale in our beautiful neighborhood or the locan environ. See my contact info in the header! You are currently browsing the Sabino Mountain Blog blog archives for June, 2013.